The Ghost Ranch Lodge in Tucson was built in 1941 and is an interesting stop, especially if you're looking for last minute lodging at night. 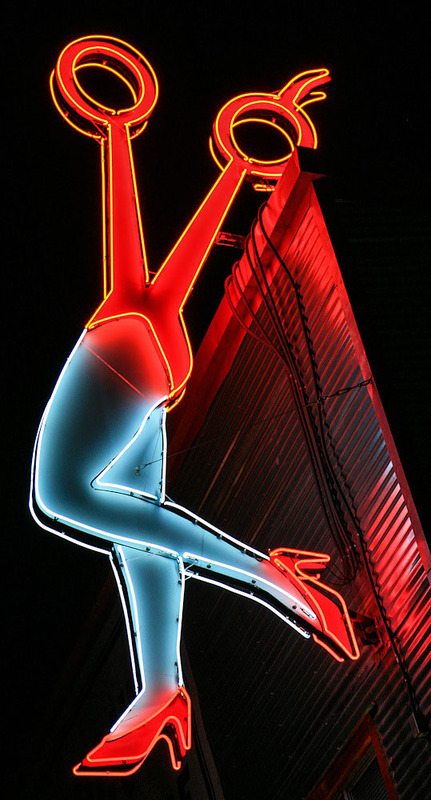 The sign itself was created in 1952 and designed by Georgia O'Keefe. 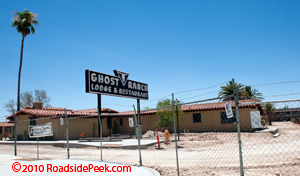 The Arizona Sunset Motel looks to be a former member of the Imperial 400 chain of motels. Here's a shot of the Balboa Motel marquee, complete with hole on top to hook a piece of string. 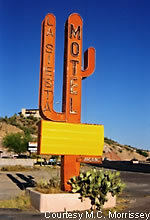 Here's a nice motel facade for the Apache Motel in Prescott, Arizona. UPDATE 12/06 : The Apache Motel in Prescott is still going strong.